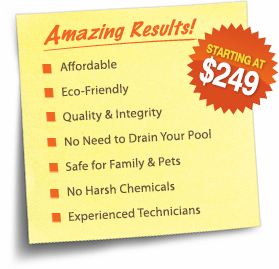 Arizona's Pool Tile Cleaning, Pebble-Tec Cleaning, Pool Acid Washing and Pool Draining Experts! 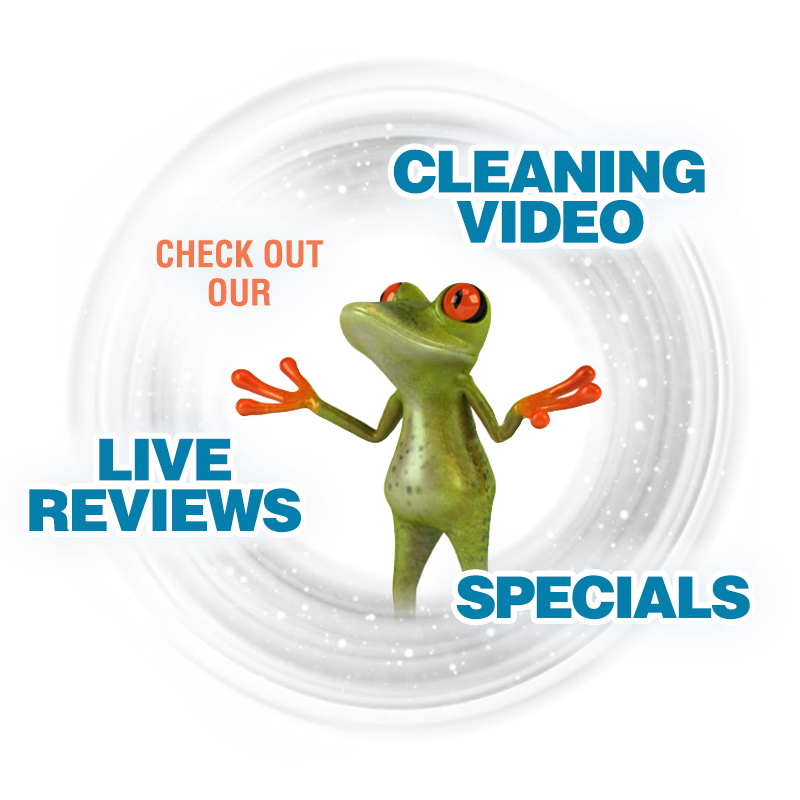 Allow Bullfrog Pool Tile Cleaning, your Phoenix pool tile cleaning experts, revitalize your pool with our amazing, safe and guaranteed pool tile cleaning services. Our industry leading, eco-friendly pool tile cleaning system allows us to safely clean pool tile and remove pool calcium deposits from pebble-tec, water features, fountains, rock and stone without the use of dangerous chemicals, harsh pumice stone or damaging glass bead blasting! We are Arizona’s top pool tile cleaners, proudly providing the best professional pebble-tec cleaning services, pool acid washing and pool draining services since 2007. Call or submit a contact form today for a FREE, no obligation estimate from the most trusted name in pool tile cleaning in Phoenix! We Never Use Glass Bead on Tile! Don't be fooled. We don’t use glass bead when cleaning pool tile! 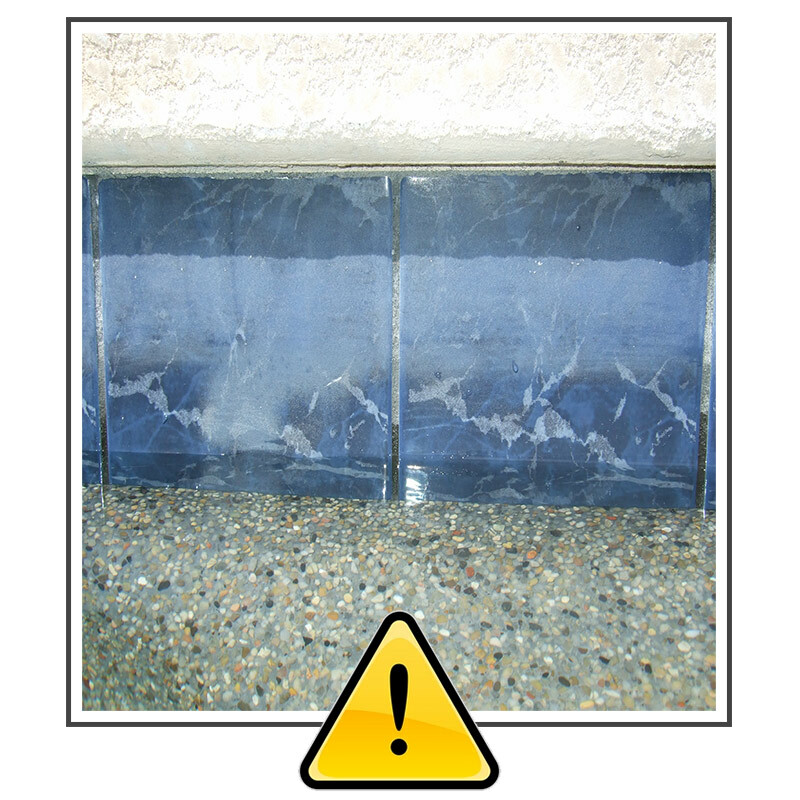 Glass bead blasting uses hard glass particles that when used to clean pool tile can potentially etch, scratch and permanently damage delicate pool tile finishes. Protect your backyard's largest investment. Allow our highly skilled, experienced professionals safely remove pool tile calcium and make your pool look new again without the use of glass bead blasting. Trust the licensed, bonded and insured experts at Bullfrog Pool Tile Cleaning to professionally clean your glass pool tile, spa spillways, travertine and cantera stones safety. Your time is valuable; don't waste it cleaning pool tile with pumice stone or dangerous chemicals. Allow Bullfrog Pool Tile Cleaning Arizona to use our proven swimming pool tile cleaning process to safely and affordably clean pool tile, pebble-tec, fountains, rock and stone and back it with our NO POOL TILE DAMAGE GUARANTEE. Example of glass bead damage. Bullfrog’s swimming pool acid washing and pool tile cleaning services can revitalize and remove stains from your plaster or pebble pool interior. Arizona pool acid washing and pool draining services are vital to keeping your pool looking its best. We specialize in cleaning green pools, cleaning pool algae, removing pool stains and removing pool calcium all so you don't have to. Relax and leave the work to us! Our Phoenix pool tile cleaning process utilizes the safest, most environmentally friendly products and NEVER USES DAMAGING GLASS BEAD or harsh chemicals to clean pool tile surfaces. 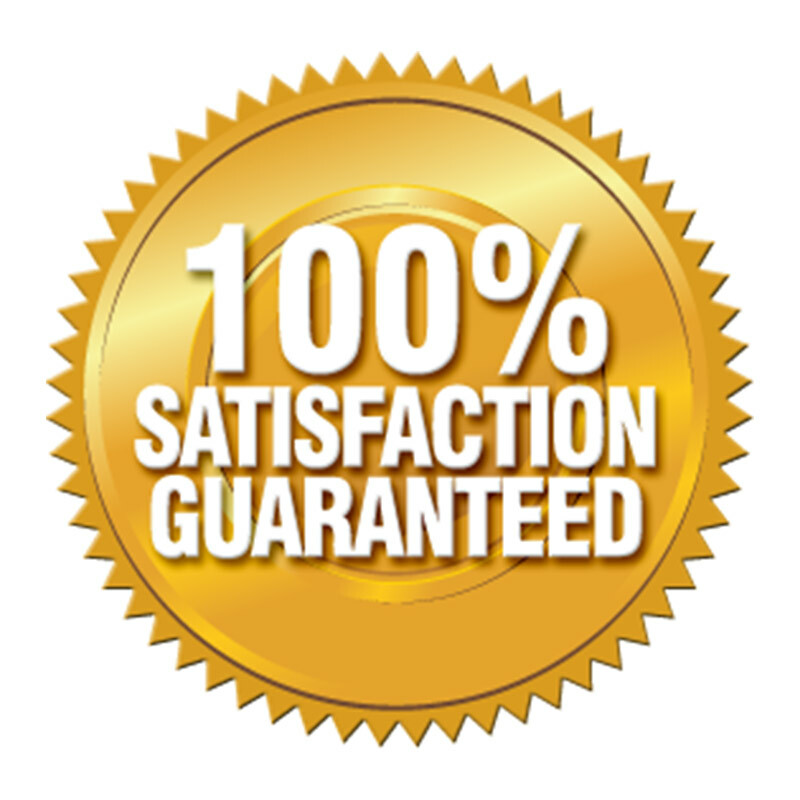 Our highly experienced technicians will arrive on time and provide you with a FREE, no obligation written estimate prior to your service to insure your satisfaction… GUARANTEED! Contact Bullfrog Pool Tile Cleaning today to get your pool ready for Summer. 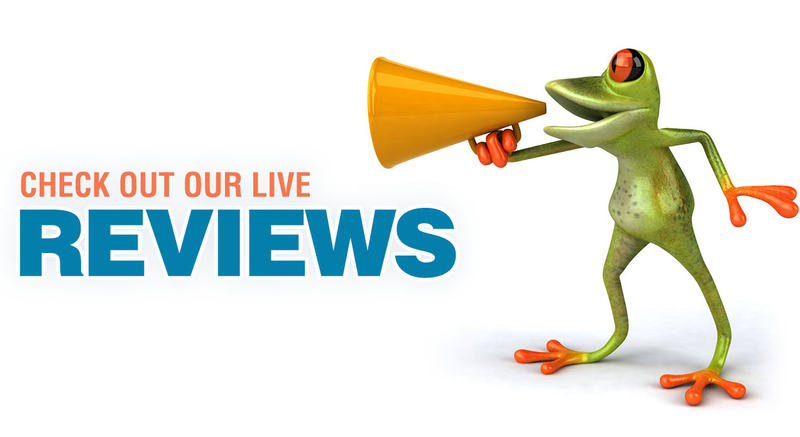 We are the top-rated local Arizona pool tile cleaning experts!